The St Petersburg troll factory is infamous for paying writers to leave online comments that favour the Kremlin’s positions (New York Times). Now yet another whistleblower from the factory has stepped forward in an interview with St. Petersburg-based independent outlet Bumaga (read article in Russian). The former troll chose to remain anonymous so we have no way of verifying the identity of the former employee of the so-called “Internet Research Agency”. 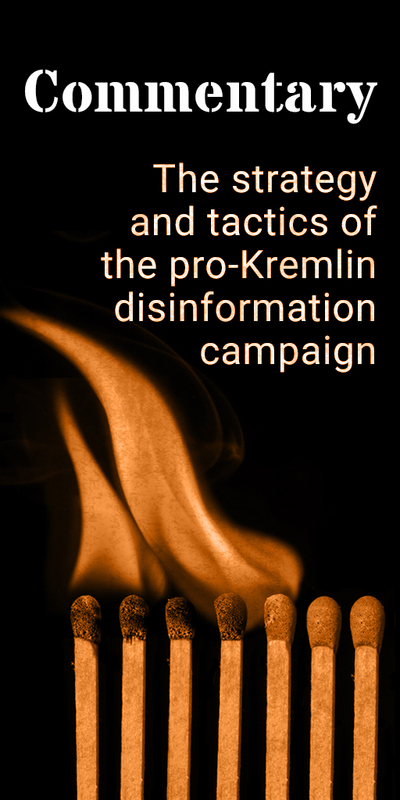 However, his comments are in line with the reports of the trolling work by other whistleblowers: Marat Burkhard, interviewed by Radio Free Europe (read interview); Lyudmila Savchuk who went to work in the troll factory as an undercover journalist (read interview) and Olga Maltseva (read article in Russian). 1 – Why did you take this job? I graduated with a degree in philosophy in 2014 and didn’t know where to turn. I had large debts which needed to be paid off quickly. Then I read an article about “the factory” and realized that it was a place where I could make some quick money. Many of my colleagues found out about jobs there in the same way. 2 – How much did you earn? Enough. Even Russia’s economic crisis didn’t affect the trolls. If you work there for long enough, then with all the bonuses you get for good work, you can get 80,000 to 90,000 rubles a month [between 1300 and 1450 euros]. I really only stayed in the job for this salary. For example, I bought myself a Mazda Six during my time there. 3 – How do trolls work? We arrived in the office in the morning, five people sitting together in a room of 20 square meters and every day, we wrote 200 comments and 20 news posts each. There were many different teams in the “factory”, including, at some point, one on the US elections and one on Ukraine. Trolls write absurd things that no one else would ever write. Every time when I came up with a text, it was a real journey of fantasy. We were allowed to distort the initial information as necessary in order to turn it into what we needed. 4 – Do trolls enjoy their job? Not even those who work there like this job. Everyone thinks we are delirious. I was ashamed of working there and tried not to tell anyone where I work. 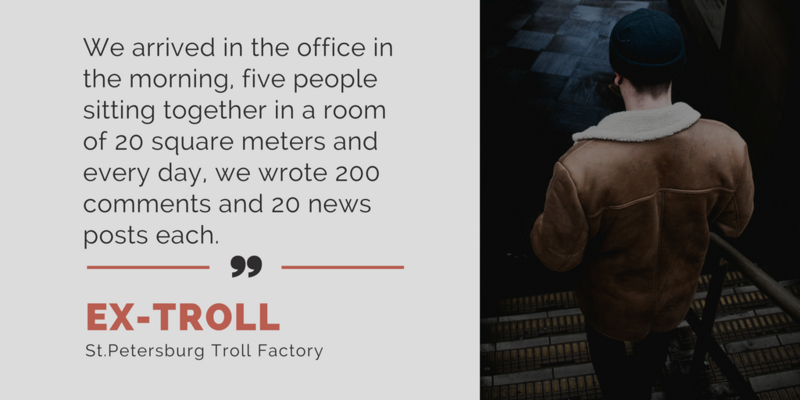 5 – How did the management react to the media coverage about the trolling factory? After the media coverage, the management started to reduce staff. Now they are recruiting people who really believe what they are writing. You need to prove that you are a patriot in order to write comments for money. 6 – What makes the ideal troll? A professional troll should have a feeling for those with whom he communicates. Most importantly, he must not lose the creative vein since it’s unbelievably difficult to come up with something new day by day. 7 – Does trolling have an effect? Personally, I believe that trolling does not bring at all any result in the real world. Even less so the one that is intended by the sponsors. No one believes in our posts: neither we nor the others. Sometimes trolls argue with other trolls. It seems to me that the overwhelming majority simply does not pay any attention to such comments. 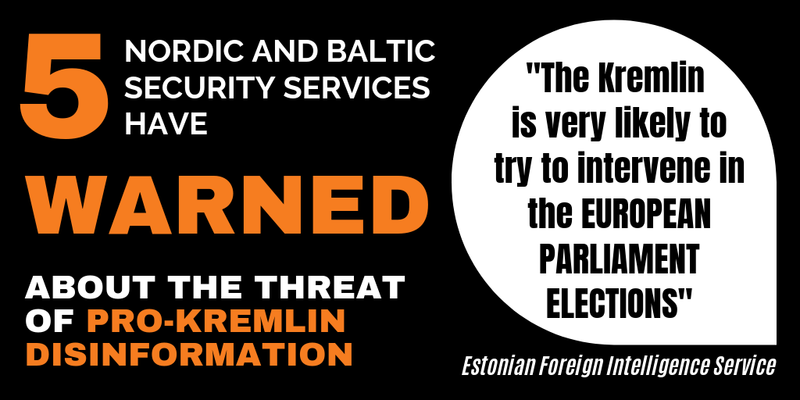 Read what previous whistleblowers from the St Petersburg trolling factory have confessed about the place they call the “Ministry of Truth”.